Amsterdam is a popular destination for groups. If you are visiting Amsterdam with a group of friends, for a stag or hen partiy, for business or with your family, you might need some fresh, original ideas for things to do. After all, the Red Light District might not be suited for every occasion. Even the best stags and hens might eventually get bored there! Entertain your group, whether they are clients on a business trip or your best friends, with any of these activities. The Jordaan Quarter is one of Amsterdam most beautiful neighbourhoods. The narrow streets, lined with lovely boutiques and century old houses holds a special charm. If you are afraid your group will be bored with a guided tour, this game is the solution! As you stroll around this lovely part of town, your group needs to solve riddles to get to the next destination. The game is played with an app on your phone. 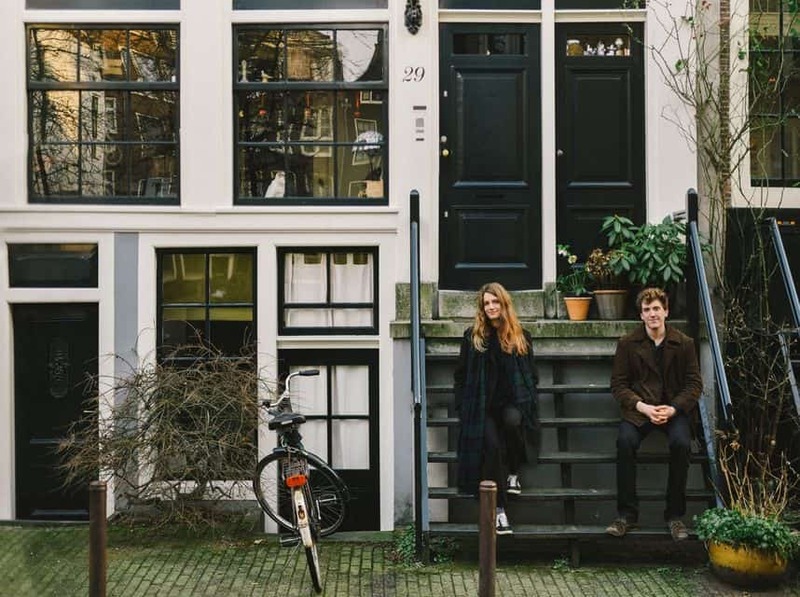 A great, fun way to learn about the history of Jordaan and discover this beautiful part of Amsterdam with a group. Are your friends addicted to selfies? You want your trip to Amsterdam captured on camera by a professional photographer? On this activity a professional photographer tours the city with your group. He or she knows all the best spots in the city and knows how to best portray you and your friends. Return home with amazing photography of your trip to Amsterdam. Archery Tag Amsterdam is one of the latest hypes. It’s a combination of dodgeball and archery, originating from the U.S. The game is played with a bow and arrow, but it’s totally safe (not painful like paintball can be). The players wear masks to protect their faces. Fun thing to do for a group in Amsterdam, like a family reunion or company outing. The beer bike has been around in Amsterdam for quite a while. You hop on a bike with your group and in the middle is a beer tap. Great thing to do in Amsterdam and a way to share fun, laughter and a beer while cycling through the city. Now, there is also the prosecco group bike, where the beer has been replaced by bubbly wine. The group bike is guided by a local driver who guarantees a safe and responsible trip and helps you explore the city. Suited for stags, hens and fun company outings! Bowling is back! Or, has it never really been gone? Bowling has always been a great activity for groups because it’s fun for everyone. Kids and grandpa, the sporty and non-sporty colleagues: they will all enjoy. In this Amsterdam bowling alley, the game is played on white lanes with special LED lighting that ensure great color effects. The Red Light District is located in the old historical center of Amsterdam, along the canals. Especially during in the evening, this area is very busy with tourists walking in packs through the narrow streets. If you want your guests to see the famous red lights in a more relaxed way, take a canal cruise. This evening cruise takes 75 minutes. You will right through the Red Light District! There is live commentary on board and it includes 2 drinks. Football lovers might enjoy a trip to the Amsterdam ArenA football stadium, now called Johan Cruijff ArenA Stadium. The stadium is the home of the Amsterdam football club Ajax. And you can visit the stadium when it’s not in use. A football-passionate guide shows you and your group around. You will stand along the line, touch the leather business seats next to the dug-out and you will visit the press stand. If Ajax is not training or playing, you can even visit the dressing room area. If you are looking for a real special experience, why not take tour in Amsterdam with a blind person! You will take a walk in the city in complete darkness and will use all your senses to discover the city. Take a walk through the VOndelpark and feel the grass, bike on the canals and hear the roar of the noisy traffic. Trust your senses! Of all the things to do in Amsterdam with a group, Escape Room is probably the most bonding. Let’s see your team in action, see how well perform under time pressure. Get stuck with your friends, colleagues or relatives and try to ecape by solving puzzles and clues. Room Escape Amsterdam has four rooms: Room 8, The Bunker, Vietnamese Victim and Quarantine 2.0. All have their own theme, which plays a huge part in you solving the mystery of how to escape. Mini golf, another guilty pleasure. Except this time it is not played on crappy half-ruined course in some tourist resort in Spain. It’s Mini Golf Glow in the Dark! Enter the world of Michiel de Ruyter, pirates and villains as you find out how much fun it is to play golf in Amsterdam with a group of friends.